﻿﻿West Bridgford, when known as the village of 'Brigeforde' was mentioned in the Domesday survey of 1086. Over 900 years later the town is a suburb of Nottingham with a population at the last Census of around 36,000. It lies south of the river Trent in the Borough of Rushcliffe, and not Nottingham City. It is, and always has been quite distinct from the City. Average house prices are very high above the national average, and housing density (which makes it a very attractive place to live) is the result of decisions taken in the Victorian period. As a newcomer, I find it interesting that there are no "Streets" here. Originally there were, such as Musters Street, however, the planners eventually decided that the term 'street' was too urban and changed them all to roads. The only 'street' in the town is Village Street in Edwalton. This seems to be indicative of the independent thinking, and dare I say quirkiness of the town, as it aimed to stand apart from Nottingham. This is also seen in the fact that while Nottingham was growing fast during the Victorian period, development in West Bridgford was restricted, as much of the land was owned by the Musters family. Eventually, (after much pressure, it is said) they sold their land, but applied strict planning regulations to the area. This covered a grid like design of the streets, housing density and house size. Just up the road from me is Exchange Road, which was one of a number of roads allowed to have smaller houses for the servants of the wealthy Nottingham merchants who bought up property in West Bridgford. This is one interesting place to live. Having started to take a keen interest in local history, I was fascinated to notice the establishment in 1897 of the West Bridgford Defence Association, whose sole aim was to "oppose the granting of licenses for the sale of intoxicating drink in West Bridgford". Now, as someone who firstly studied, then worked in Belfast during the 1970's and 1980's, the words Defence Association have unfortunate paramilitary connotations. In particular, the Ulster Defence Association emerged in Belfast during 1971. This was an umbrella organisation for "vigilante" groups called defence associations, "which were tasked with defending Protestant, unionist and loyalist areas from attack", and using the name Ulster Freedom Fighters, was responsible for many acts of violence, including assassination. Surely the WBDA was different? Of course it was. It was said of West Bridgford in the early 1900's, that "The parish is quiet, prosperous, healthy, happy, without crime and without paupers, and resolute in its determination not to have public-houses or beer-off's, and this is the action, not of a landowner, nor of parliament, but of a united people". Whereas "on the northern side of the Trent where licenses are as plentiful as blackberries", there is poverty, crime, vice, disease, dirt and death. When the population of West Bridgford was 13,000, there were about 800 members of the Defence Association - an impressive ratio by any standards. After fighting their cause successfully for 40 years the Association disbanded around 1938. Why did this happen? ﻿﻿ In 1937, for the first time ever, Nottinghamshire County Magistrates' Court granted licenses for two public houses in West Bridgford. One was "The Wolds" in Loughborough Road, and the other was "The Test Match" in Gordon Square (though this originally was to be called The Rushcliffe). 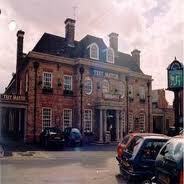 Both establishments were originally called hotels, as this was thought to be more acceptable than pubs. However, places like The Test Match never operated as a hotel. Sneaky or what? With licensed premises now opening, the West Bridgford Defence Association had lost its reason for being. Would the area now sink to "the depths of Nottingham?" History and facts do not show a slide into social depravity in the town of West Bridgford. Before concluding, I think we need a lighter, albeit inappropriate comment from W.C. Fields who said, "Once, during Prohibition, I was forced to live for days on nothing but food and water". Nottingham has some of the highest rates in the country for alcohol related hospital admissions, alcohol related crime, and has the third highest rate in the country for alcohol related sexual offences. Rushcliffe has the second lowest rate in the country for alcohol related hospital admissions. Statistics will always be argued over, but as someone who has worked with heavy drinkers for nearly 30 years, I concur with Professor Mark Bellis, Director of the North West Public Health Observatory who said, "It is time to recognise that we are not a population of responsible drinkers with just a handful of irresponsible individuals ruining it for others. 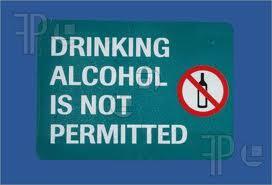 Over one in four drinkers exceeds weekly limits". As with so many other matters, it is not the product itself that is necessarily the problem, but man's inability to use that product responsibly. Perhaps the West Bridgford Defence Association knew this, and fought to keep the "demon" away. After centuries of mis-use, are we any nearer to getting the message home? (There are more sources of help than ever before). The responsibility is ours, but we do so like to blame our actions on something else. "It wasn't me Guv, it was the drink". Or as Oscar Levant said, "I envy people who drink - at least they know what to blame everything on".